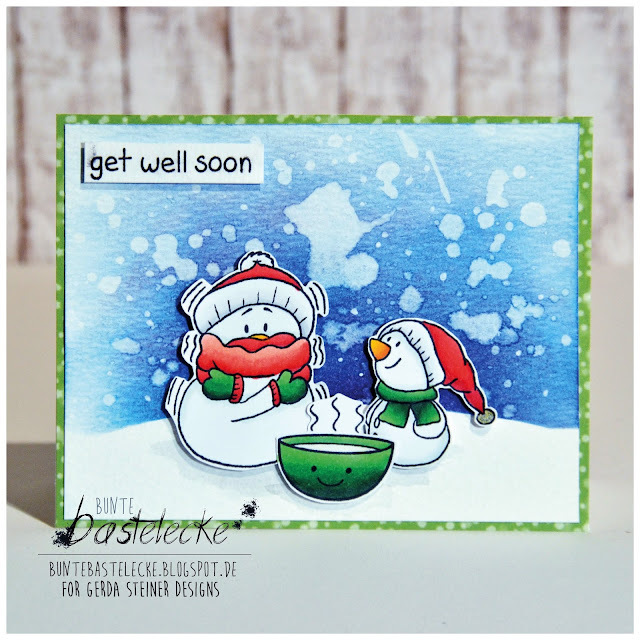 Gerda Steiner Designs, LLC: Get well soon, Mr. Snowman! Get well soon, Mr. Snowman! I just loooove these snowmen to pieces! They're all full of individuality and charisma! 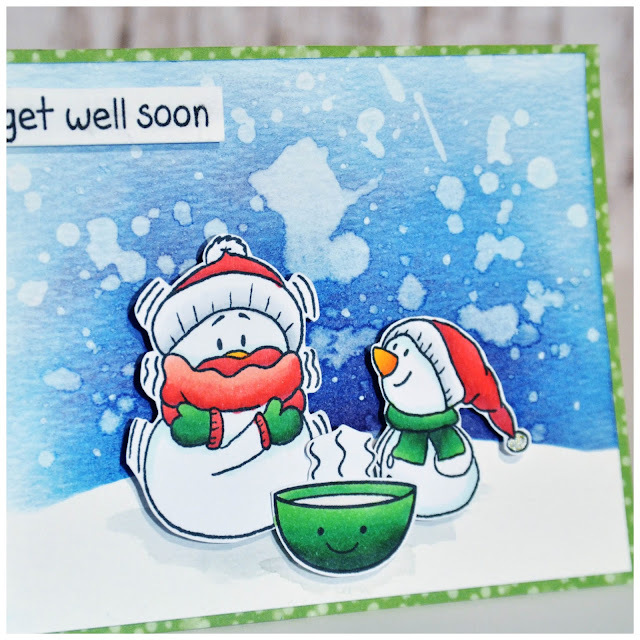 I colored the two little guys with my copic markers in classic christmas colors. Afterwards, I created a background using Distress Inks and a blending tool and some masking paper to get a sharp edge for the horizon. I splashed some waterdroplets on it so that it may look like snow or stars... just to let it look a bit more interesting ;) The final step was to give them a tiny bowl of soup and a matching sentiment from another set. Is it possible for a snowman catching a cold? 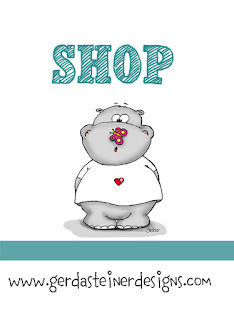 :D I think so! Olaf also caught one! !